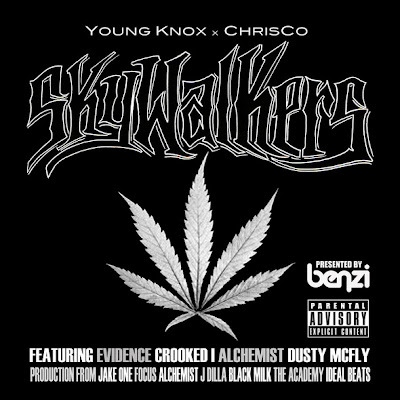 Home » Chrisco » Young Knox x ChrisCo "Skywalkers"
Skywalkers features Evidence, Crooked I, The Alchemist, Dusty McFly, and more. Production from Jake One, Alchemist, Focus, J Dilla, Black Milk, Ideal Beats, and The Academy. Presented by DJ Benzi. DL Chrisco's "How Does It Feel" EP here.